This video will show you the techniques used by professionals for hinging with archival tapes. Whether you use pressure sensitive or water activated archival tape will depend on the type of artwork you are hinging. 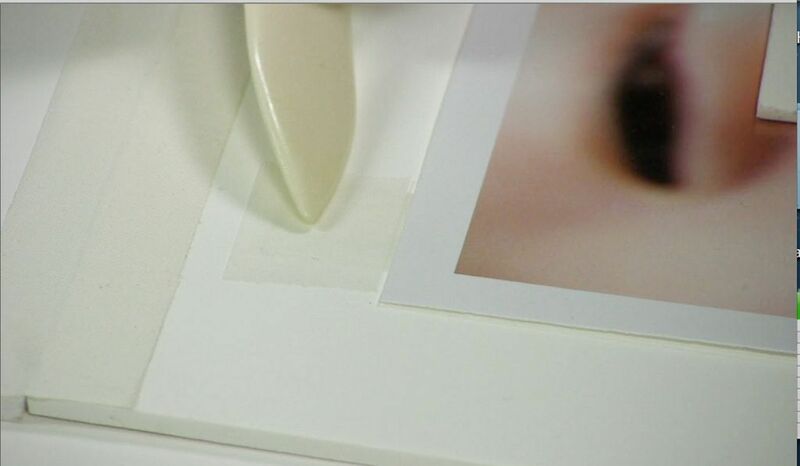 Pressure sensitive archival tapes are recommended for photographs and giclee ink jet prints when it is important that no water comes in contact with the artwork. 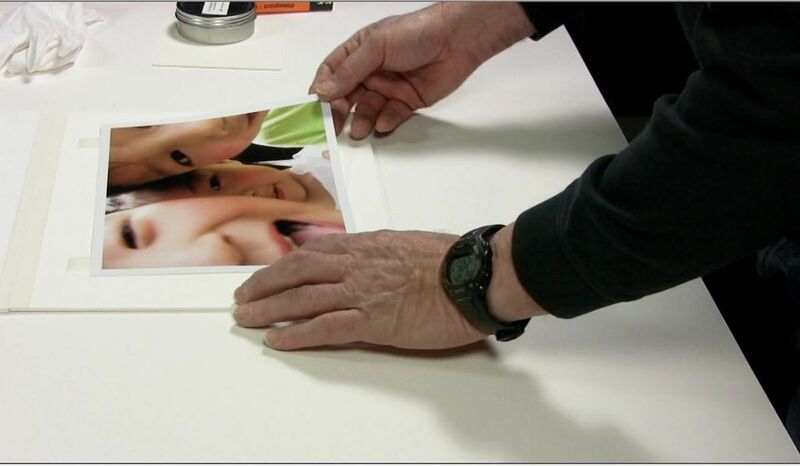 Water activated archival tapes are recommended on heavier artwork that require a stronger bond. Assemble the materials and supplies. 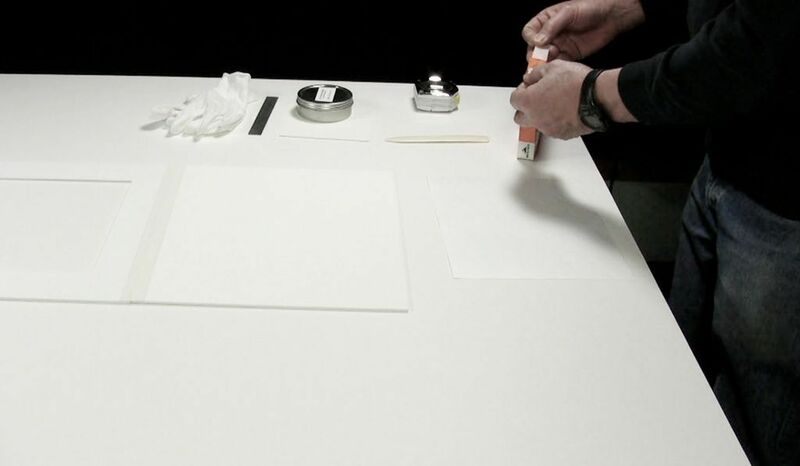 For hinging works on paper or photographs you will need the mat that has been attached to the backing board, an archival tape, burnishing bone, and a weight. 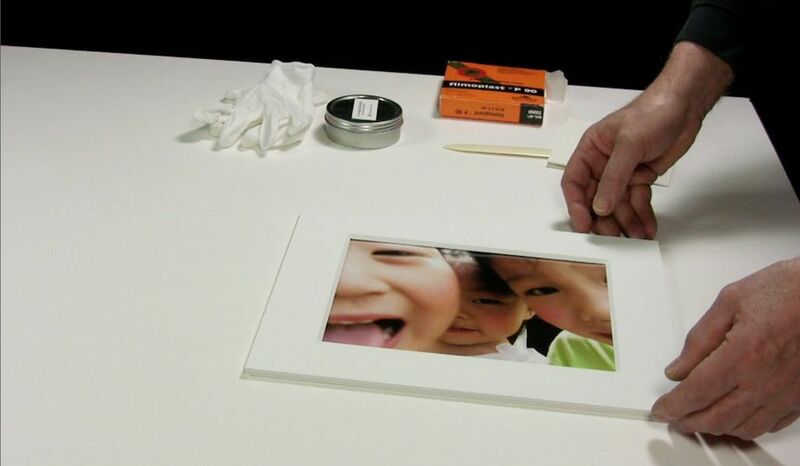 The ruler and gloves are optional..
Place the artwork upside down on a very clean work surface. 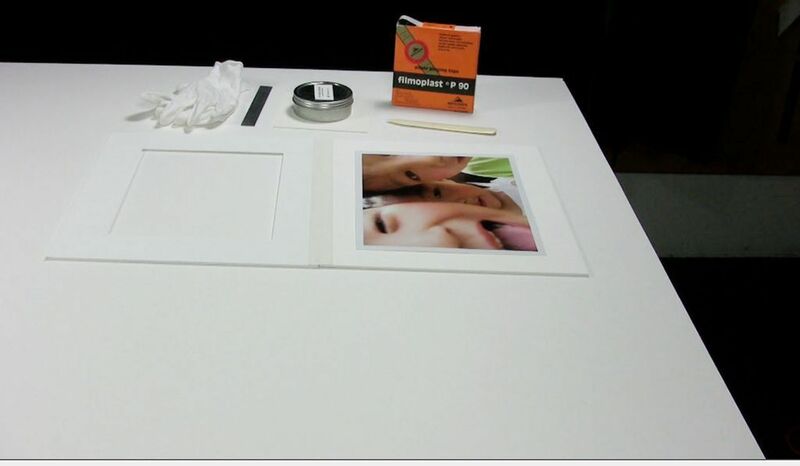 You now want to attach the hinges to the back of the artwork. 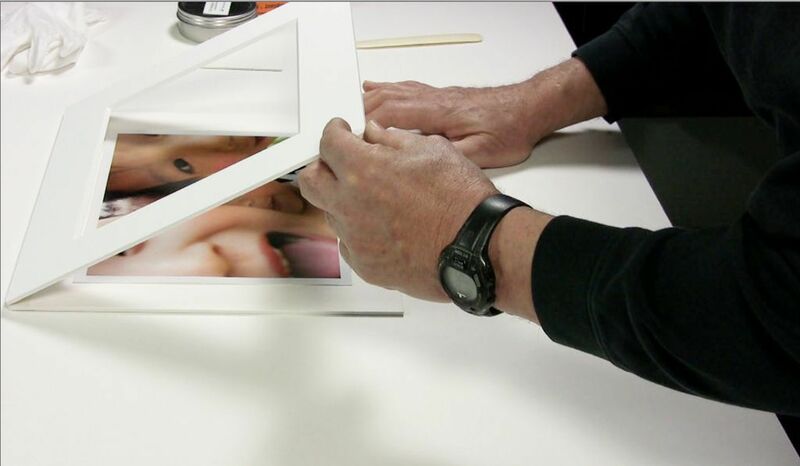 The first step is to tear off a hinge about 1″ long. The tape should be placed about 1/4″ in from the top of the arwork and approximately 1″ in from the side of the artwork. Adhere the tape to the back of the arwork on both the left and right sides of the artwork. When burnishing the tape to the arwork use caution. Your hand may be better than a burnishing bone because you do not want to put too much pressure on the artwork which might leave an impression.. Turn the artwork over and approximately center it on the back board. Bring the mat down and use your hands to move it around until it is perfectly centered in the mat. Now raise the mat and place a barrier on the mat and weight it down. This will ensure it doesn’t move when you put on the T-hinge. 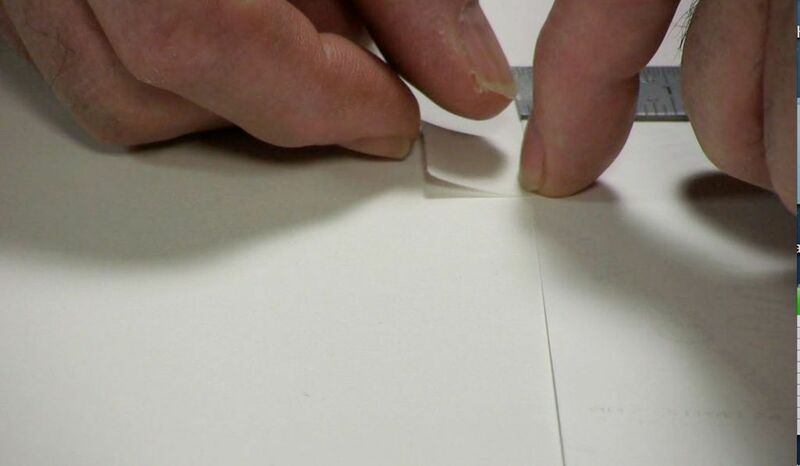 Now tear off another piece of tape and make a T-hinge with the hinge that is already on the back of the artwork. To ensure the bond you can use a burnishing bone. You can now take off the weight and matboard/barrier paper.. Your artwork is now ready for framing.